1301PE is pleased to announce its first solo exhibition with the internationally acclaimed sculptor and installation artist, Jessica Stockholder. The exhibition will premiere several new sculptures by Stockholder. 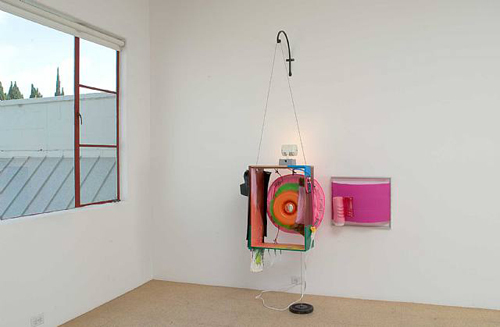 Jessica Stockholder transforms diverse materials and visual language into surprising and eccentric coherent compositional wholes. Employing everyday goods such as plastic bags and containers, extension cords, lumber, plywood, carpets and furniture, Stockholder draws attention to the aesthetic qualities of these often overlooked items foregoing the utilization of symbolism and narrative. Her work transcends the history of the materials involved. The unpretentious objects she uses carry history, challenge the notion of egalitarianism, and the politics embedded. Her sculptures are "democracy in action." Stockholder's sculptures transform the way space is perceived and even accessed. This attention to space arises from the friction of everyday objects juxtaposed and united by painting. Her work engages an artfully calculated interplay between the flatness of picture making and the space that these "pictures" sit in. In this exchange the viewer is presented with a "kind of theater in art space." This work asks that we notice and value the nature of our experience; and in this way argues for and urges the development of free will. Moreover as Stockholder states her sculptures set the stage "to create a possibility for something kind of fantastic to emerge." 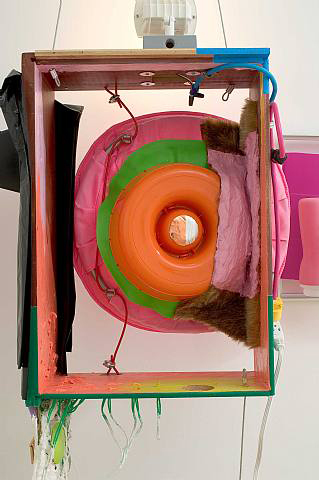 Jessica Stockholder was born in Seattle, Washington. She is the Director of Graduate Studies in Sculpture at Yale University in New Haven, CT. She was recently the focus of the career survey exhibition Jessica Stockholder, Kissing the Wall: Works, 1988-2003 at the Blaffer Art Gallery, University of Houston, Texas and the Weatherspoon Art Gallery, University of North Carolina, Greensboro. 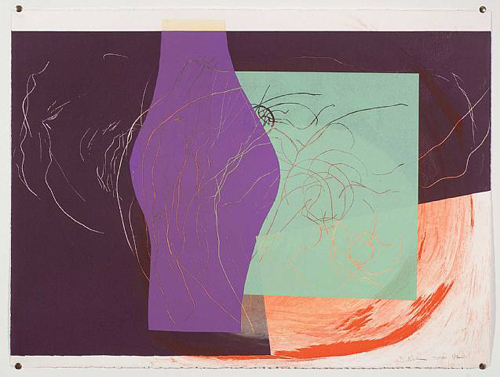 Her work is represented in the permanent collections of the Whitney Museum of Art, the Art Institue of Chicago, the Los Angeles County Museum of Art, Kunstmuseum St. Gallen, and the Stedelijk Museum in Amsterdam. Solo exhibitions include Dia Center for the Arts and P.S.1, New York, NY; The Renaissance Society, Chicago, IL; Power Plant, Toronto, ON; Kunsthalle Brandts Klaedefabrik, Odense, DK. Selected group exhibitions include SITE Santa Fe And The Whitney Biennial.